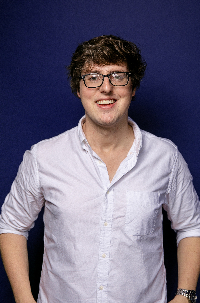 Already a regular face on ‘Mock the Week’, Glenn Moore’s playfully titled ‘Glenn Glenn Glenn, How Do You Like It, How Do You Like It’ was a masterclass in pure joke-writing – an hour of zinger-after-zinger. Each quick gag was meticulously constructed to get the biggest laugh in the shortest amount of words. But rather than batter his audience with an onslaught of unrelated jokes, Moore crafted his quips into a silly story about applying to be the first civilian on Mars.